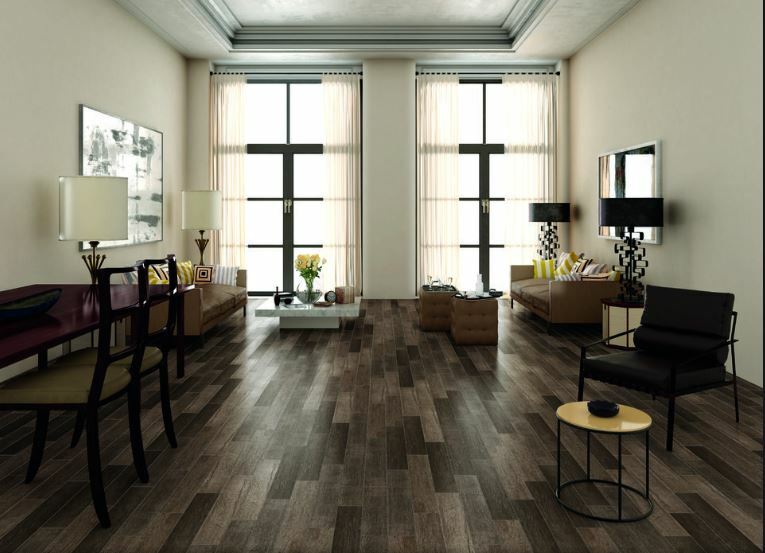 Marazzi’s Urban District STX in Tobacco (on floor) and HEX in Galleria (on wall). 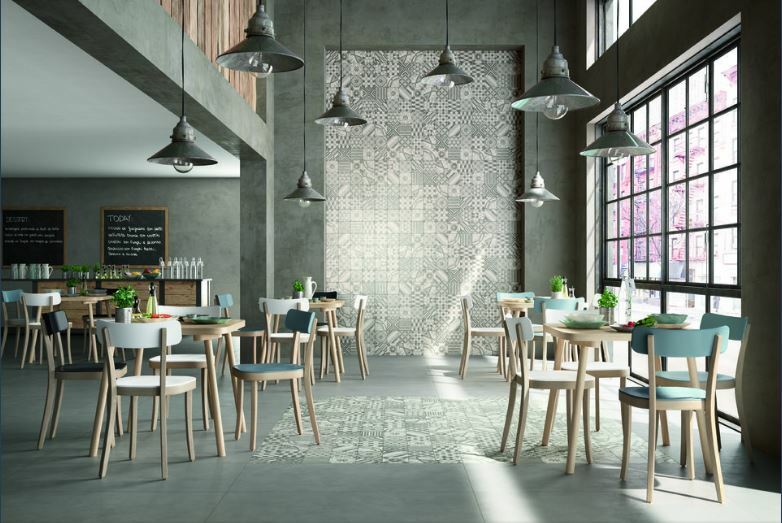 Marazzi introduces three new tile collections, combining traditional and time-tested materials with modern design. The new collections capture the authenticity and imperfections of history with weathered brick, reclaimed wood and hand-cast concrete, while evoking contemporary and innovative style. The new collections transform tradition and create fresh, bold looks. Block™, a porcelain interpretation of hand-cast concrete, includes Sicilian majolica-inspired decorative squares in 16 different stamped pattern variations, reinterpreting tradition with myriad contemporary installation options. Cathedral Heights™, inspired by old European church doors and mansions, brings an old-world texture you can see and feel, while providing the easy durability porcelain tile offers. The Urban District™ collection explores the timeless quality of a space, emulating raw materials inspired by those found in reclaimed downtown warehouse buildings. Variations in size, texture and color ways, including brick-look, wood-look and hexagon-shaped tiles in six colors, allow customers to fit the collection to their space and personal style. Marazzi’s Block™ series emphasizes naturalness and imperfection while expressing beauty in this new Colorbody™ rectified porcelain interpretation of hand-cast concrete. Updated with an alternating matte/glossy surface treatment atop a lightly troweled structure, this collection in six colors effectively adapts to different design styles. Block’s Sicilian majolica-inspired 6″x6″ porcelain decos reinterpret tradition with contemporary taste for those seeking more romantic, nostalgic and poetic moods. These beautifully crafted visuals in two colorways incorporate sinuous movement and individual expression on walls, countertops and floors. Cathedral Heights™ has its genesis in ancient beams and doors reclaimed from old European churches and mansions. Marazzi’s authentic result is an astonishingly organic visual of complex sawcut and hewn graining combinations achieved by 3D digital imaging. This strong Colorbody™ porcelain with rectified edges has a wide range of faces and shades that contribute to highly random, incredibly realistic wood-like surfaces. Cathedral Heights infuses modern-day rooms with amazing textural quality that appeals to both historic and contemporary leanings. 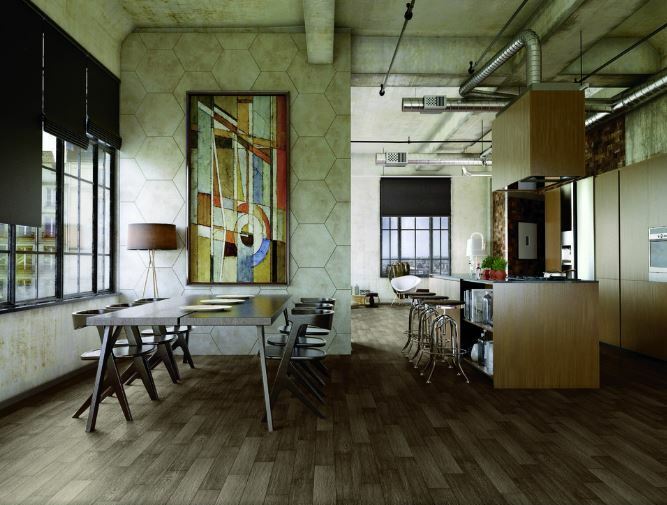 Marazzi’s Urban District™ collection is an eclectic blend of products that complement an industrial design style influenced by the revitalization of downtown warehouse districts. Industrial design reveals the ageless character of a space by exposing raw building materials and using them as the foundation to create functional upscale interiors. With this concept in mind, Urban District was born. Thoughtfully designed and authentic in look, Urban District’s signature products include BRX (brick-look), STX (wood-look) and HEX (hexagon-shaped). This unique combination of textures and colors adds bold character to any design style.